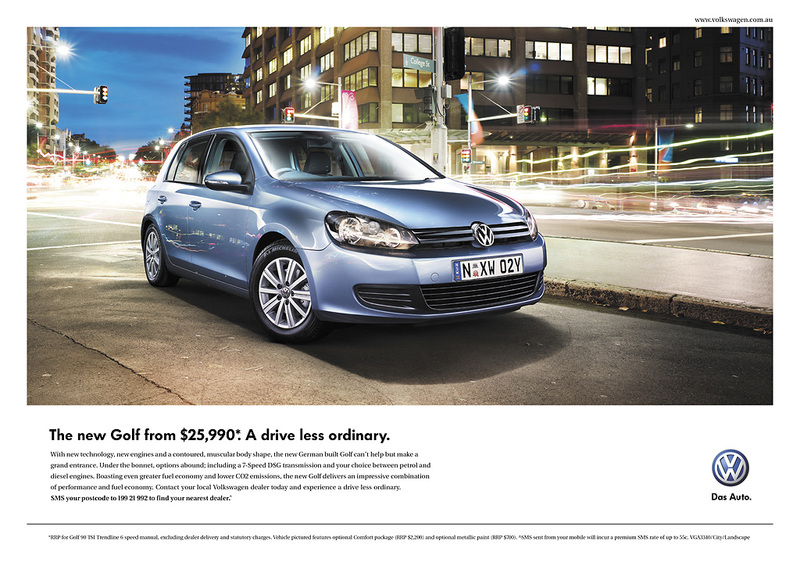 Volkswagen in Australia recently launched a new campaign for the Golf, A Drive Less Ordinary, with work in TV, print, outdoor and online media. 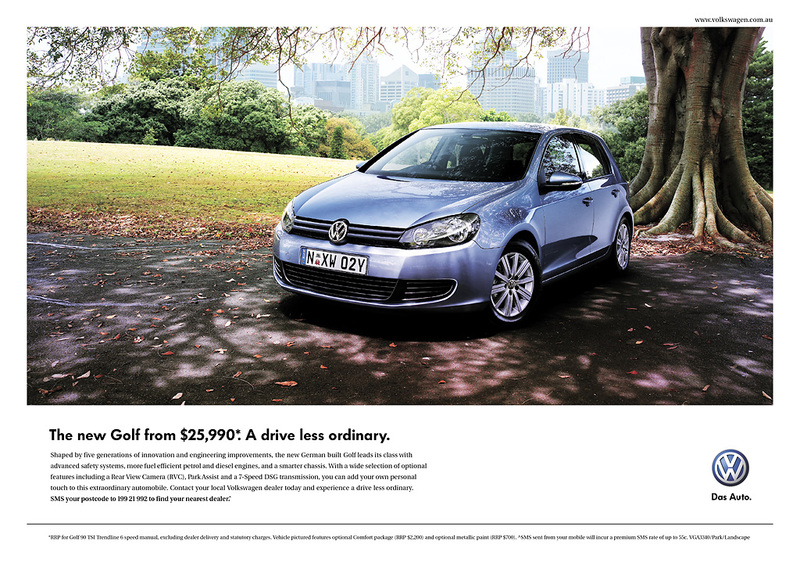 The New Golf campaign, www.newgolf.com.au, includes a customizable drive using Google Street View. Three television commercials, featuring the music of Nylon Studios composer Johnny Green, show the New Golf driving through park, city and shopping environments. The music continues only as long as the drivers stay in their new Polo, ending with a bottle of milk, a rugby practice and a school pickup. 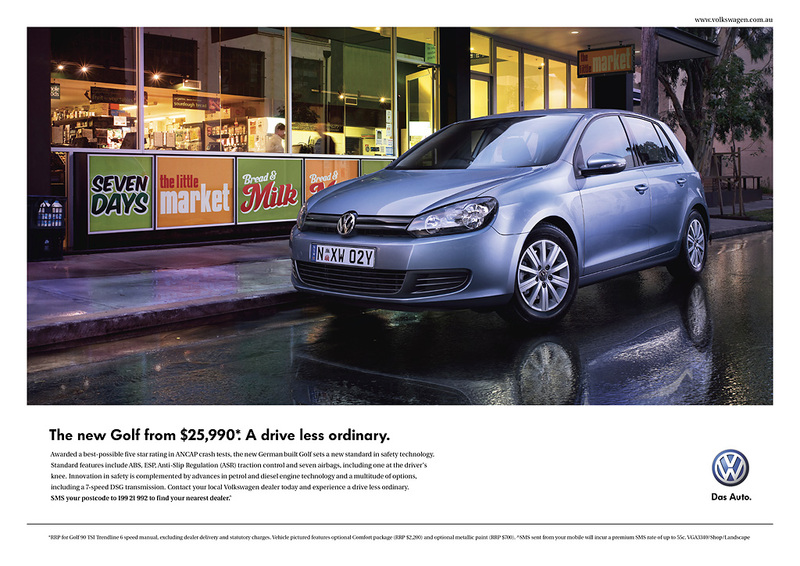 The Volkswagen Golf Drive Less Ordinary campaign was developed at DDB, Sydney, by executive creative director Matt Eastwood, creative director Mark Harricks, art director Adam Ledbury, copywriter Alex Stainton, senior art director Simon Johnson. The print campaign was produced by art buyer Bryson Holt, photographer Alan McFetridge, with retouching done at Cream Studios. Filming was shot by director Ben West via Soma Films. Music was composed and sung by Johnny Green via Nylon Studios.